About 20 air force commanders from different countries will participate in special conference marking 70th anniversary of State and IAF. 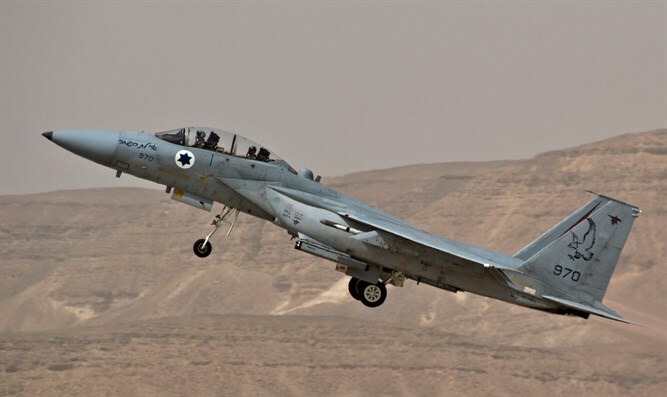 In coming days an unique Air Force conference will be held in Israel in which more than 20 air force commanders will participate from various countries around the world. The International Air Force Commanders Conference was considered one of the flag events in the framework of the Israel Air Force's 70th anniversary events. The conference, which was planned for about a year in the IDF, will be spread out over three days. Air force commanders from about 20 different countries will meet, hosted by the Israeli Air Force. The conference will include lectures, tours, strategic discussions, and joint air training. The IDF said "the conference is of great importance and influence on the air force, the IDF, and the State of Israel. "The conference reflects the military cooperation between the air force commanders and the countries and serves as a bridge for cooperation and a place to strengthen diplomatic relations between the countries," the army said. The previous conference was held in 1998 in honor of the Jubilee Year of the Israel Air Force and the State of Israel. Germany, Canada, Greece, Poland, Austria, Bulgaria, USA, Italy, Brazil, Britain, France, the Czech Republic, Cyprus, Romania, Croatia, the Netherlands, Finland, Belgium, Vietnam, and India will take part in the event.